We are look forward to helping your child develop to his/her potential. Play ‘N’ Learn has a long tradition of providing a warm, caring and safe atmosphere for children to learn through creative activities and free exploration. Here, every child is given time to socialize, create, discover, and build self-confidence as they master new skills. Our curriculum is developmentally balanced to ensure your child blossoms in an atmosphere where they are challenged intellectually, socially and physically. 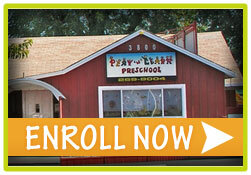 Come stop by our school for a tour of our facility (Children are welcome to attend) and no appointment is needed. Come any time between 9:00a.m. and 11:00 a.m. or 2:30p.m. to 6:00p.m. If you prefer to schedule your tour feel free to call 408-269-9004. Download enrollment form Narvaez, Massar or Summer camp. Talking to your child about going to school and even reading some stories to him/her about some of the anxieties children feel before starting. Bring your child by the school to meet his/her new teacher (you can do this during your tour). Bring in 1 change of clothes, labeled with his/her name. Bring enough diapers and wipes for the week.